We never think it will happen to our child but 1.5 million teens are the victim of physical violence from their dating partner each year – and even more are affected when you account for emotional, digital, and sexual violence. It’s scary to think of our child being stalked, bullied, controlled, or blackmailed, and it’s something most parents don’t even realize is happening inside of dating relationships. Sadly, it’s a reality that millions of teens are dealing with. In fact, 1 in 3 adolescents in the US is a victim of physical, emotional, or verbal abuse from a dating partner, a figure that far exceeds rates of other types of youth violence. Fortunately, parents can identify the signs and we can work with our teens to prevent dating violence. 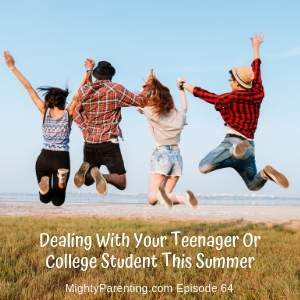 Mighty Parenting podcast hosts Judy Davis and Sandy Fowler talk to expert Dr. Shalanda Moten to find out about the various types of dating violence, how to recognize signs of abuse in a relationship, and what our teens need to know about preventing dating violence. Types of dating violence include emotional or verbal abuse, digital or technology abuse, physical abuse, and sexual abuse. Emotional and verbal abuse include screaming and yelling, saying mean things, threatening themselves or others. An abuser can use facial expressions, smash things, mind games, or isolation (keep their dating partner away from friends and family) to control their partner. Things move quickly at the beginning of relationships and it’s normal for both partners to pull back a bit from their normal life to focus on each other. However, eventually people need to get back to real life and the other people in it. An abuser will react badly to this shift back to normalcy. Digital/technology abuse includes textual harassment, sexting or sextortion, digital stalking, and cyber bullying by proxy. Textual harassment isn’t really about the number of texts but how kids feel when receiving them. If they feel pressured to respond, if they’re afraid of the reaction of their dating partner if they don’t respond right away, this can be a red flag. Sexting is when a dating partner asks them to send sexually explicit pictures or videos. Sextortion is when they use those photos and videos to blackmail them. They may threaten to share the images if more aren’t sent. They may say, “If you break up with me, I’ll post these/show these to people”. Digital stalking is when someone keeps tabs on their dating partner through technology. They may stalk their social media accounts or ask others to watch the accounts and inform them. They may break into their partner’s phone, demand the password or require them to show their level of commitment by sharing the password. Cyber bullying by proxy is when someone enlists friends to cyber stalk their dating partner. They will demand friends report back to them if they see their partner doing something “wrong”. They may punish their partner by having friends post mean comments. We need to teach our children to have digital boundaries and help them understand the risk of sharing their password. Not only does sharing the password give others access to everything on the phone, it also allows them to do things like installing a GPS tracker. Look for a pattern of controlling or abusive behaviors used to gain or maintain power in a relationship. Help your child set expectations with their dating partner. If their partner asks for something or does something that makes them uncomfortable, they can ask questions like “What are you concerned about?” “What are you worried about?” They can also set boundaries in the relationship. If their partner won’t accept boundaries then they need to think about whether they really want to stay in that relationship. Physical violence in a dating relationship affects 1.5 million high school students a year. Physical violence can include twisting an arm, biting, choking, or burning them. Teens who are abused feel they can’t tell anyone. They don’t tell friends because they are afraid they’ll be judged and they don’t tell parents because they are afraid the parent will have an intense reaction and do something. Parents need to have conversations with kids before they date. We need to discuss scenarios and ask what they would do if different things happen. Help them identify someone they could talk to if they find themselves in a situation. If your child does come to you to tell you about some type of dating violence, mind your reaction. If you jump in and take over it makes them feel even more powerless. Walk through safety planning before leaving the relationship. Focus your discussion on being worried about them and their well-being rather than “this horrible boy or girl”. A safety plan includes specific people they can turn to if they ever feel unsafe. You can create a code word they can say to someone on their plan. When that word is used it means your child needs someone to come get them. The Circle of Six app sends a signal to designated people asking for a pick up and police intervention. 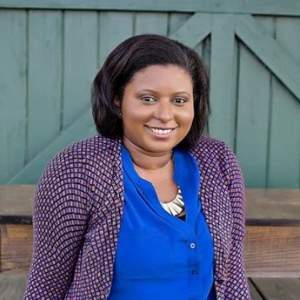 Dr. Shalanda Moten is the founder of the Prevention Collective and one of the leading experts in dating violence prevention. Over the past decade she has educated over 3,500 youth about healthy and unhealthy relationships, and her work has been featured in NBC’s Parent Toolkit, The Huffington Post, MTV Act and Fox 5. She is radically passionate about educating and empowering communities to become more active bystanders, especially parents. As such, she provides parents with FREE conversation starters for tough + awkward talks. Motivated to make a greater impact, she created “Speak Love/Show Love” which is a fun + interactive event where teens learn how to define expectations, set boundaries, resolve conflict and stay safe in their dating relationships.